Huang yongyu, born in 1924 in the jiantuo river town. Parents are graduated from normal school, love music, a career in education. The home of the culture and art, to the deep influence on it. His brother is numerous, childhood family underprivileged students, from county model primary school (predecessor) it elementary school graduation, at the age of 13 in the fujian xiamen jimei school drop-outs, 16 years old began to paint and wood for a living. Once a child labor in fujian dehua porcelain industry since then, a newspaper in jiangxi fine arts editor. He lived stubbornly in the drift from place to place, hard self-study, XiWen painted, strive. 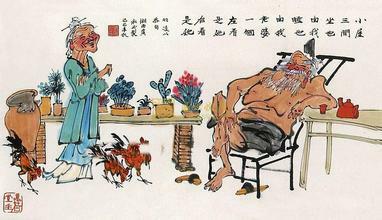 After the victory of the war in Shanghai engaged in woodcut creation, as the standing director of the national woodcut association. To the progress of art activities in Hong Kong, after work, side illustrations for a newspaper. Zhang Meixi together lady in 1952 by the Hong Kong returned to Beijing, and successive lecturer, associate professor, professor in the central academy of fine arts, and was elected as vice chairman of the Chinese artists association. 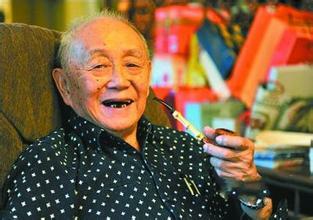 Huang yongyu, early engaged in woodcut creation and teaching, have a lot of achievements. In 1956 published "topaz woodcut sets", the masterpiece "spring tides occur", "ashimar" has hit the national painting, and then out of a variety of books. He works of Chinese paintings and innovation on the traditional art, its unique lotus. He wrote poems, essays, novels, plays, etc. In 1981, the poetry anthology "had that kind of time" was named the national award for the best new poetry. In Hong Kong in 1988 published the varia cans lent miscellanea, makes every effort to seriously think about, the mustard in the stories, and the author of "the scenery of the sun", "without the sorrow of the river roll man", "yong yu six", "wu repeatedly the BBS", "this some sad, and so on. Britain The Times magazine in 1978 in the six pages to huang yongyu reports his paintings in detail, and this is the west of socialist China artists rare in the world. He worked in Japan, the Philippines, Australia, the United States, Italy, Germany driven a one-man show. Its art achievement have received awards from the Italian commander in chief. Italy's President, issued by the supreme commander of for him. 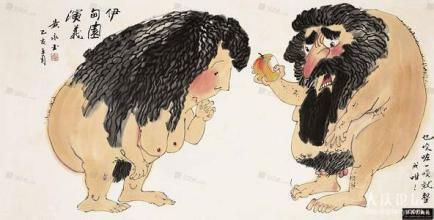 In May 1999, huang yongyu in exhibition held in Beijing, a total exhibition he save more than half a century since 212, the visitors an endless stream, surprised. On April 28, 2001, Mr Huang yongyu back to hometown of phoenix held personal art exhibition of returning home, some run-down exhibition hall at the door, in the books by huang yongyu himself: my heart only my heart / / home/it is your love. Huang yongyu is unique, and his paintings, he, his personality, his spirit of personality. He doesn't swing posture, the xiangxi vicious of the villagers, and dare to with their own unique personality and strong momentum ling on the doctrine of all art. And his wisdom and more embodied in his most simple ideas. Huang yongyu has a famous saying: outside, ability is used up, come back to pick up a little.